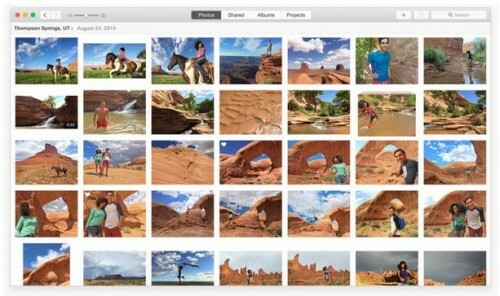 Apple has recently released the very first OS X Yosemite 10.10.3 beta to developers for testing. The release of the new version comes just a week after the public release of OS X Yosemite 10.10.2, which contained a number of stability improvements and a fix for the Wi-Fi connectivity issue. In case you don’t remember, this issue affected a wide number of Mac and MacBook users all over the world. Anyway, let’s get back to Yosemite 10.10.3 beta. Apart from minor performance enhancements, it can boast of one long-anticipated feature. This feature is Photos app for Mac. As usual, the latest OS X Yosemite 10.10.3 beta is available on Apple’s dev portal or through the Software Update option of the Mac App Store. If you have a developer account and a compatible Mac or MacBook, you can download the latest beta and start testing it right now. Think twice before installing Yosemite 10.10.3 beta on your main computer as it may contain bugs.